Kilometers of unmaintained fences in Africa meant to protect wildlife are providing the raw materials for deadly devices leading to their demise. Wire vandalized from boundary fences is used to create silent snares for indiscriminate poaching in places such as Liwonde National Park, Malawi's flagship protected area. After six months, the International Fund for Animal Welfare reports that through Operation Safe Haven scouts have recovered more 3,500 snares and have helped with the arrest of more than 30 poachers. The program has also led to the confiscations of gin traps and other poaching equipment through investigations, completion of a control room and radio network for the scouts, and training for a motivated and effective scout force. 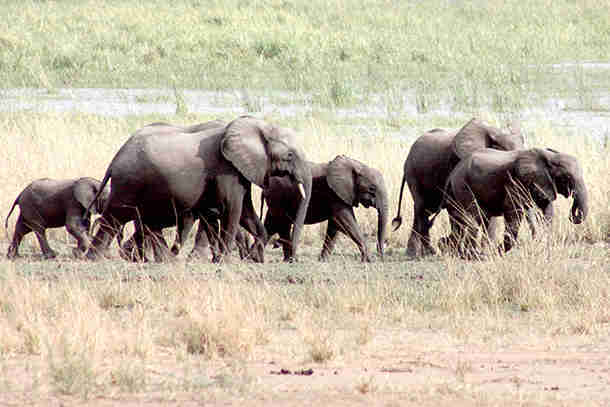 Related: Building a brighter future for elephants at Amboseli National Park. The old adage of "if it is not broken, then why fix it?" has taken a toll on Africa's infrastructure and systems; in specific, a lack of maintenance has led to an erosion in Africa's infrastructure. With wildlife conservation low on government's agenda, resources needed for human development take budgetary priority, and Africa's protected areas bear the brunt. Malawi, one of Africa's poorest countries, is no exception. With an estimated population of more than 16 million people - more populated than neighboring Zambia, but just a seventh of the size - Malawi's protected areas have often been referred to as "islands of wilderness in a sea of humanity." This places Malawi's protected area under immense pressure with communities eking out a subsistence living right on or sometimes encroaching into the borders of national parks. To create a separation between people and wildlife, government conservation agencies have taken a management approach to fence their parks. Fences form an effective barrier between people and wildlife. Their presence acts as a deterrent, preventing people from entering protected areas and wildlife from leaving. This is especially significant when the wildlife is potentially dangerous, like elephants who wander into smallholdings raiding crops and creating conflict. But if poorly maintained, the fences provide fodder for snares. Operation Safe Haven, together with IFAW's model boundary fence at the Chikolongo group village, where we employ and train community fence attendants to patrol and maintain fence integrity, IFAW is able to protect these islands of wilderness. The fence provides the first barrier making illegal access more difficult and creates an effective deterrent to poachers. To assume that every poacher will be caught is naïve in goal setting in a real world context but what this approach does achieve is to raise visible law enforcement efforts to the point that, for poachers, the risk outweighs reward. In 2014, IFAW was approached by UK businessman and philanthropist Mark Hiley, who had seen the effects of snaring first hand, and proposed a plan to tackle it. 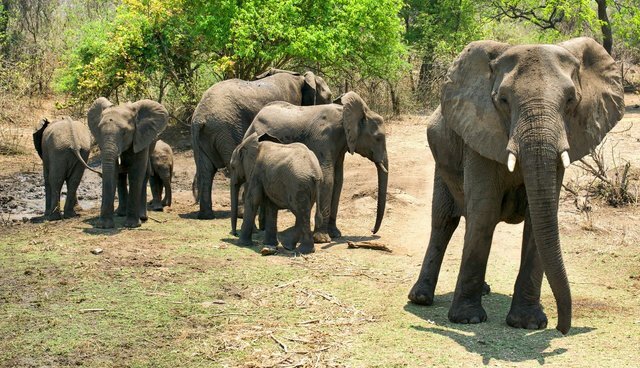 IFAW has had a long relationship with Liwonde and the IFAW Elephant Habitat Protection Project has since 2010 been both active within and outside the park. Park security and alternate livelihood initiatives have been implemented to protect this uniquely precious resource and the elephants that live within it. An agreement was established - with Mark Hiley's concept, funding from donors, government support and IFAW's on-the-ground knowledge and expertise - to devise a two-pronged plan to stem the tide of snaring within the park. The first, to conduct a sweep of the park to eliminate the threat of wire snares which would alleviate the immediate impact on wildlife fatalities and injury. Snares are symptom of the problem, rather than the problem itself so to address the problem real problem - poaching - a second phase was needed. We needed to re-establish a law enforcement structure within the park through capacity building of scouts, motivation of field staff, and equipment to assist in effective patrolling. This law enforcement structure and constant presence would make the setting of snares more difficult and risky, thereby deterring poachers from entering the park. With this multifaceted approach agreed, Operation Safe Haven became a reality. Sound knowledge in snaring techniques together with hotspot identification through patrolling is essential. While scouts are clearing the proverbial "mine field," poachers are laying new ones so investigation training was required to identify those involved in poaching thereby rooting out not only the symptom but the cause itself. The plan involved conducting sweeps throughout the park; training scouts in patrolling and investigation techniques; provision of field equipment; radio networks to better coordinated anti-poaching efforts; and repairing of park vehicles to efficiently deploy and recover scouts in the field. Given that the snaring crisis was escalating it was decided to run these different components in parallel. This approach of conducting the sweeping with training provided a valuable component of through practical application of lessons learnt, while quickly addressing the immediate threat of snares. Teams of scouts were deployed in a systematically devised sweep of the park to ensure maximum area coverage for snare recovery, with each sweep providing more intelligence and thus a clear understanding of poaching trends. This was not without its challenges, clearing 550 kilometer square (212 square miles) of national park is not an easy task. Snares, not unlike landmines are hard to detect, indiscriminate in their targets and with no definitive number it's virtually impossible to determine how many snares have actually been set. But IFAW can only achieve these successes with the generous support of IFAW's donors. Your continued kind support helps protect wildlife and conserves natural heritage and, hopefully, in time a shift in approach occurs and this unique continent will be able to overcome it maintenance phobia.